The Pyrenees mountains in winter are a perfect destination for a snowshoeing adventure holiday. If you love hiking in summer you’ll enjoy snowshoeing in winter even more. It’s the perfect way to explore the wild, beautiful and unspoilt foothills and mountains of the French and Spanish Pyrenees. 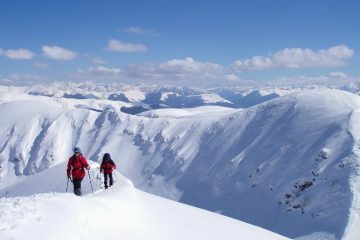 If you are time-challenged, a snowshoeing short break holiday may be just the mountain fix that you need. Our knowledgeable local guides know just where to take you to make the most of your snowshoeing break. Choose a week long snowshoeing holiday in the Pyrenees if you have the time to explore further afield. You’ll discover the most beautiful and off the beaten track corners of the Spanish and French Pyrenees. 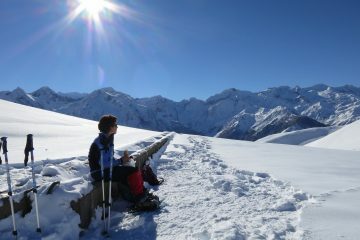 A snowshoeing winter holiday in the Pyrenees is a great alternative to a ski holiday in the Alps. It’s about time you gave it a try!